Lakewood, WA — Students are speaking out against what they believe to be a case of excessive force at their high school. 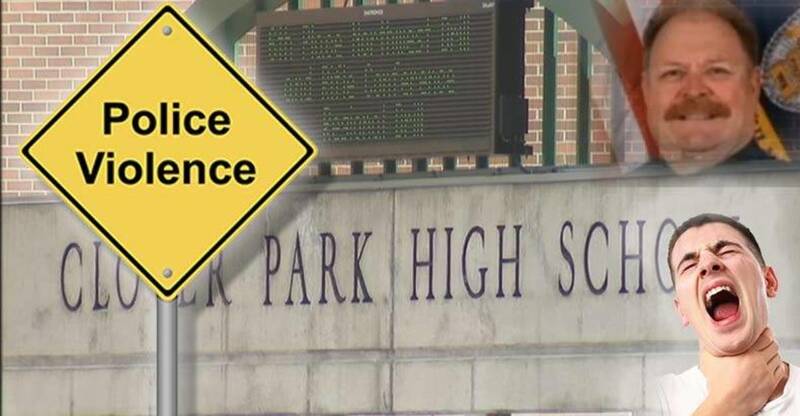 An officer at Clover Park High School is now being investigated for using excessive force after arresting a student. The student is facing a charge of resisting arrest, and a teacher is also facing possible charges of obstruction for trying to help the student. The case has been referred to the city attorney who will determine if charges will be filed. The incident happened a week and a half ago near the pool on campus. Reports of a fight prompted the on duty school resource officer, Lakewood Police Detective Rey Punzalan, to respond. Witnesses say the officer hit one of the students, a 14-year-old, with his car door. Because he failed to put it in park, the door kept hitting the student. When the officer told the student to go to the office, the student, who had just been struck by the officer’s car door, allegedly responded with profanity. “So he goes to grab the student, who is 6-foot-1, 210 pounds, and the kids immediately tenses up and starts to fight with the officer,” says Lawler, in an attempt to paint the student as some monstrous villain. However, the eyewitnesses say that’s not the case at all. They say the student was not fighting back, and the officer placed him in a chokehold. It is quite obvious, with all of the eyewitness testimonies, that the officer is not giving a proper account of what actually happened. Also, the fact that a teacher risked arrest and possibly her career to stop the abuse speaks volumes as to what was actually transpiring. Since the department has received a complaint about the incident, they now claim they are investigating themselves. Students at Clover Park High School are not taking this abuse lightly. They have taken to social media to express their discontent and explain how they no longer feel safe on campus. “I’m disgusted that this happened, angered at how it was handled, irate that they are punishing a teacher for doing their damn job,” says one student on Facebook. “They could have handled it differently,” Clover Park sophomore Jeffrey Lauterbach said. “You can’t get in trouble or else something like that could happen,” Clover Park sophomore Alex Avila added. To protest the incident of police brutality last Friday, all of the students wore black to school. Unfortunately, this incident is hardly isolated. Less than a week ago, we reported the story of a Kentucky cop, with a history of hurting children. He is facing discipline for choking a student so hard, that he passed out and was left with brain damage.